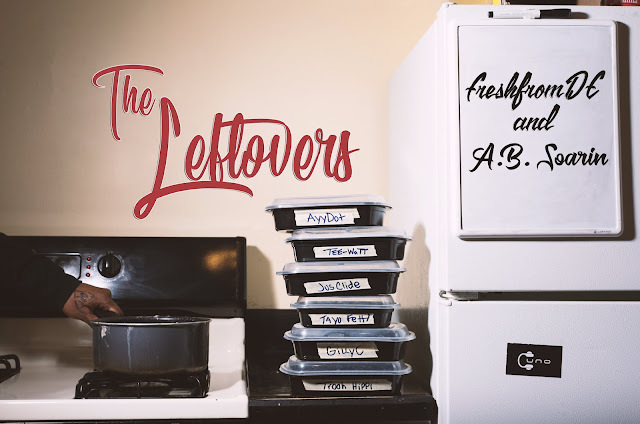 Boston's @absoarin and @freshfromde Release Long Awaited, "The Leftovers"
Boston based recording artist' A.B. Soarin' x FreshfromDE release their long awaited joint project titled "The Leftovers." The 12 track project features the work of producers like (AyyDot & Tee-WaTT, Jus Clide, Tayo Fetti, Gilly C, and Trooh Hippi) as well as features from the following artists (Dutch Rebelle, MizzotheO, & Mark Mula.) The Leftovers, is currently available on Soundcloud and all major streaming platforms (Apple Music, Spotify, Tidal.) Fans can expect to find "All There," "Pack It Up," & "Forewarning" among the 12 song tracklist, in addition to their visuals, with the exception of "All There." After wrapping up 2017 with this new body of work, A.B. & Fresh open up for New York Hip-Hop Duo, Dead Prez(Jan 20th @ Brighton Music Hall), as their first live performance of '18. The show, which was fairly close to selling out, seen the likes of fellow featured artists Dutch Rebelle and MizzotheOperforming alongside.